Purchasing a real estate investment property in Northern Colorado is a great way to make a profit, whether you keep it as a rental property or flip and resell it. The lucrative rental market, with plenty of available tenants, coupled with our strong housing market, means you’re likely to make a pretty penny on an investment property – especially if you’re able to find a deal on the house in the first place. One of the best ways to buy a cheap house is to consider Fort Collins foreclosure properties for sale. And you know what they say, the cheaper the house is when you buy it – the more you can make in the long run. Inspect Thoroughly: Before you buy, make sure you give the house a good once-over with an inspector and repairman. This means inspect the property fully to really understand what the repair and upgrade costs will be before you’re the owner. While the property may be cheap if it’s in foreclosure, you don’t want to buy a money pit that will require a ton of work. Take a Look at the Neighborhood: Before you buy, make sure to consider the neighborhood and schools around the home. If you will be renting out the home in the future, the kinds of tenants you attract will be based on where the house is located. For instance, if the home is near Colorado State University, you’ll likely get college kids. Think of the kinds of tenants you’re interested in having before agreeing to buy a foreclosure in certain neighborhoods. Study Sales and Rental Trends: Regardless of whether you’ll be selling the home as a flip or keeping it to rent out, you’ll want to look at the trends in the neighborhood. What are the resale values? What is a typical rental price of this size of home? How quickly do homes sell or rent in this neighborhood? Make sure you consider these factors as you look for Fort Collins foreclosure properties for sale. Check the Titles: Before you buy any foreclosure property, make sure you request a preliminary title report. This will help you spot any hidden liens or encumbrances on the property and help you avoid any costly surprises. Before you sign on the dotted line, make sure the title is clear. You may be surprised just how often we run into homes with some sort of title issue that can be a real problem when it comes to buying and selling the home down the line. Know It’s Sold As-Is: Foreclosures are almost always sold as-is. There are no discounts for repairs, and often the homes sell like hot potatoes, so they probably won’t have to accept a lower offer. If you’re looking for a foreclosure investment, know that you’ll be getting what you pay for. Work with an Expert: If you’re ready to enter the world of real estate investing and are considering Fort Collins foreclosure properties for sale, it’s worth your while to work with a local real estate investor who understands the market and can help you avoid landmines. 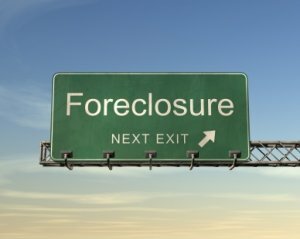 Foreclosures, especially the right ones, can be tricky to find, and it’s helpful to have expert advice throughout the process. If you’re ready to look for Fort Collins foreclosure properties for sale, contact NOCO Invest. We’ll help you access the market and find foreclosure deals before they even hit the MLS. We send out an updated property list monthly, with foreclosure and discounted properties that are often as much as 30% below market value, to help you find Fort Collins foreclosure properties for sale that meet your goals. Sign up for the list here and don’t hesitate to reach out with any questions!